This is a ring I got from Diva on sale for only a couple of dollars but I love it. 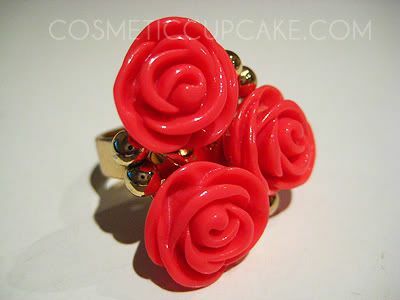 I adore roses and the coral colour just pops and adds a great burst of colour to any outfit. 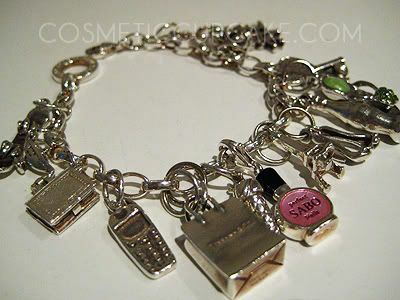 I've worn a charm bracelet practically everyday since I was in high school. I've changed the bracelet only about 3 times and lost countless charms and this is what it has evolved into after many years. Each charm represents something about me and was given to me for a special occasion but I have purchased 1 or 2. For example: the snowboard represents my love of snow and snow sports; the book charm represents my love of books and reading; I was given the Tiffany shopping bag charm as a graduation gift; and the ice cream charm represents my lifetime love of confectionary and ice cream; etc. 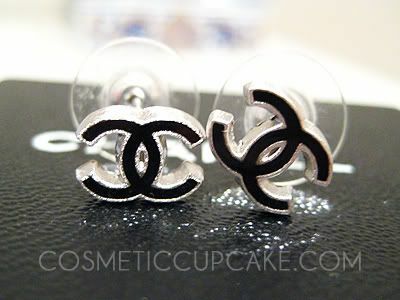 These Chanel studs were a Valentines/birthday gift from the boy about 3 years ago when we were on our 1st trip to Hong Kong together where he met my extended family. These studs are chic and simple and I love wearing them as it brings back so many wonderful memories of that trip. I can't remember where I got this ring from! 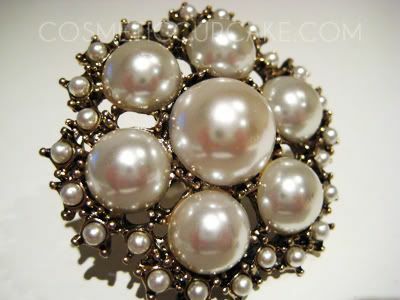 I like the different sized pearls and the size of the ring and I wear it as a "statement" ring. This is my most treasured item and I would cry my heart out if I lost it. My boyfriend gave this to me on our 1 year anniversary many moons ago and it was my 1st time receiving a famous Tiffany blue box. I was so excited! Lol. I wear it nearly everyday even though it chokes me when I sleep (no matter!) and have it polished regularly. Oh my, such lovely pieces. I really like the Channel earrings and also the Tiffany necklace is exquisite. that first rose ring is gorgeous! I love the bright colour :D perfect for summer! Oh, thank you so much for your sweet words and the link! I really love your pieces and I love the bright color on that coral ring too. Gorgeous jewelry! @Cel: Oh thanks so much! @Ronnie: Lol wish I could share with you hun!